Occasionally open on weekends, mainly in the summer months. PPR is still required. 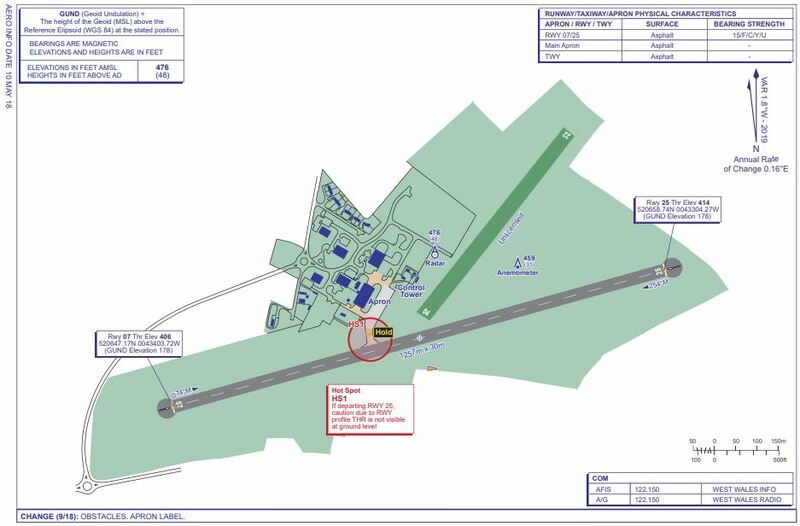 For UAS operators more detailed charts are available on request, including topographical information of the airfield and the local area. Manned and unmanned flights can be accommodated on grass as well as the licenced asphalt runway. Visiting pilots must arrange this with the airport prior to flight. Click the image above for full view PDF.